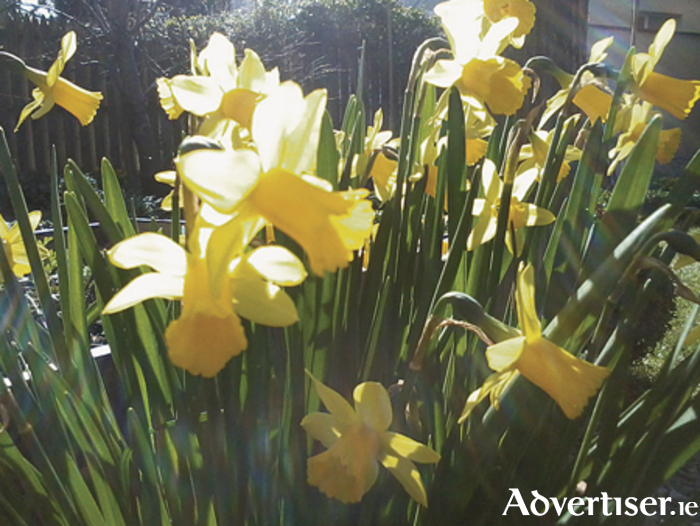 Advertiser.ie - Planting Bulbs for Spring Scent-sation! At the time of writing it looks as though the much hoped for Indian Summer is not going to put in an appearance this September, and instead of the golden, sunny afternoons a damp, browny-green sogginess is the order of the day. If there’s one thing gardeners have lots of though, it’s hope, and it’s already time to think about next spring and what we might have to look forward to. If you get busy with the bulbs now, at least you can look forward to a cheerful blast of bright colour early next year. From February onwards, if you choose your spring bulbs with care, you can enjoy a succession of colour right throughout the spring. Your local garden centre will have a good selection for you to choose from, or you can order by post or online from a specialist supplier such as Mr Middleton Garden Shop – www.mrmiddleton.com, - curl up by the fire with a colourful catalogue, and be generous – most spring bulbs appear year after year, so plant as many as you can as they’re a really good investment for your garden. Here are some of my favourites for early spring that you can plant now, bringing you bright colour and scent just when you most need it after the chilly winter days. Narcissus “Tete a Tete” – this is one of my favourite narcissi (the botanical name for all daffodils ). A dwarf variety, it’s ideal for window boxes and pots, and if you’re planting these up for autumn and winter, just add the bulbs in first, in between the bedding plants. It’s one of the earliest to flower, and being small, doesn’t get flattened by spring storms as the larger ones do. It’s brilliant for a small garden as the browning foliage is less noticeable after flowering, and easily hidden by the emerging leaves of perennials. Crocus” Blue Pearl” – Crocuses are one of the first spring bulbs to flower and if you have room, a great swathe of them under a tree canopy is guaranteed to lift the spirits and make you feel that spring is on the way. You can also scatter them en masse through a border to get the same effect, or try a couple of dozen in a pot by the front door. They’re also a very valuable early source of nectar for bees when there isn’t much else about. Hyacinth “Delft Blue” – What a beauty! Stunning blooms of deep, deep blue, reminiscent of your Granny’s Willow Pattern china. Also great for cutting for inside the house, where you can appreciate the fabulous fragrance. One of my absolute must-haves – give it a try and you won’t be disappointed. Last week’s Gardenwise , An Apple a Day, seems to have inspired lots of you to start growing your own apples, and if you head to Clarenbridge Garden Centre at 2p.m. this Saturday you can hear expert John McNamara’s free talk about selecting and caring for apple trees. Page generated in 0.0551 seconds.